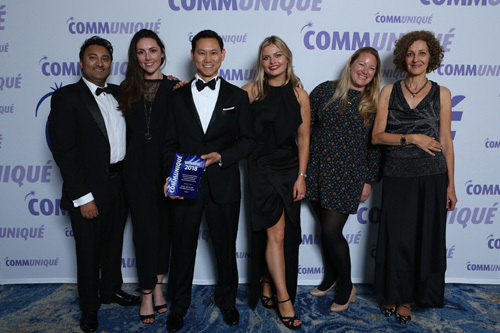 90TEN and Incisive Health triumphed at the Communiqué awards last Thursday evening, taking home awards in categories which recognised the best work in integrated communications. This involves using multiple different communications channels to target the right message to the right audience, and in both award categories the campaigns yielded convincing evidence that they had positively influenced healthcare decision making and outcomes. In the Say Communications Award for Excellence in Integrated Product/Brand Communications, 90TEN (pictured above) worked alongside three other agencies: communications management firm Baird's CMC, medical education group OmniaMed and healthcare marketing agency Cogora for the client, flu vaccine supplier Seqirus. Focusing on improving vaccine uptake, the winning work titled ‘Break the Flu Cycle’ and aimed to change vaccination practices and behaviours among healthcare professionals. The partners built advocacy throughout the UK influenza network, and helped bring about major changes in UK influenza guidance from the JCVI and NHS England on the use of Fluad as the vaccine of choice for all adults aged 65 years and over for the 2018–2019 flu season. It has been estimated that up to 1,700 lives could be saved between 2018–2020 due to the new guidance. The Communiqué Awards judges commented: "This multi-agency work on behalf of Seqirus demonstrated real evidence of need. The insight, strategy and achievement of specific outcomes all came together in a measurable and impactful campaign." They added: "We loved the way they involved HR, PR and medical education right from the beginning and focused on the right channels to obtain their goals." 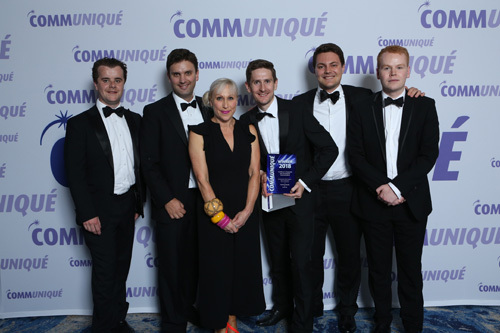 Also picking up an award in the Integrated Communications category was Incisive Health (pictured) whose “Unleashing the British Biotiger”, a campaign for Roche UK, received recognition for the second year running. Just last year the health policy and communications specialists were named the winner of the Writing Excellence award for this particular campaign, which focused on how the UK life sciences sector could thrive in a post-Brexit. landscape for Roche UK. It also stood out again this year, but in the new category of Excellence in Integrated Non-Promotional Communications, recognising campaigns aiming to raise awareness of broader issues. "This entry was truly integrated and also non-promotional – it really stood out as a clear winner," The Communiqué Awards judges commented. "It had strong objectives, which they met; with integrated communication plans. The third party feedback was amazing. It really is an admirable initiative for the benefit of Roche’s employees and external stakeholders." Other finalists in this category were Havas Lynx for its Respiratory Care V2.0 campaign for Teva, work that aimed to improve patients outcomes for asthma patients and Porter Novelli, which was challenged to reinvigorate GSK Vaccines' profile in its field.